It wasn’t until May 18th, 2012 where the company allowed investors to buy and sell Facebook stocks within the NASDAQ market. Facebook is a stable company, and is a popular choice amongst novice and veteran traders. Thus, it’s a great choice for first time investors to get started in the stock market. 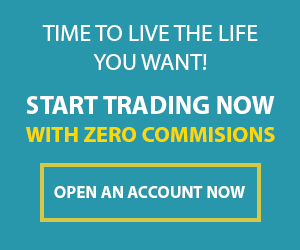 We’ll show you how to get started trading this lucrative stock option! Facebook is one of the largest social media brands because of its huge competitive advantage. For instance it has a network effect where each person that signs up to Facebook, it gives people that aren’t on the network the incentive to sign up on it. Who wants to use a social media platform if their friends aren’t on it. Due to its strong competitive edge, Facebook currently has over 2.07 billion people signed into its network. Owning a Facebook stock is a great idea as its a reputable company that has surpassed competing social media sites such as Myspace and Vine. 1: Log in your Plus 500 account through the web trader. 2: Click on the TRADE button. This displays the multiple instruments that you can invest in on Plus 500’s page. Plus 500 is one of the only on line brokers that provides this variety of trading instruments. It allows you to trade ETFs, Stocks, Forex, and Commodities all around the world. 3: Go to Shares and then click USA > F > Facebook. Alternatively, you can search Facebook in the “Search our Instruments” search section. Type in Facebook, and it will allow you to buy and sell facebook stocks. 4: When you click on the Facebook stock, it will show you information about it and how to buy and sell it within the exchange. To buy, press the BUY button. We recommend that you have a stop-loss and stop-limit to ensure that you receive the most profit while only experiencing minimal losses. 5: If you want to sell your Facebook share, press the SELL button. This allows you to close the position and gain profit or stop the share from becoming too negative. Follow these steps to ensure that you know how to buy and sell Facebook stocks. In this last section, we’ve compiled the most popular terms that most first time investors should know before trading. This will help you get more in depth knowledge within the market and learn how to trade more effectively. Premium: When an investor keeps a position open overnight, a premium is either added or subtracted from their position. This means that you’ll either gain a small amount of money for the overnight position, or you’ll have to pay a small fee. The premium is usually low so you don’t have to pay too much attention to it when you’re trying to buy and sell facebook stocks. Trading Hours: This is one of the most essential things first investors need to know. Plus 500 will automatically change to fit your region’s time zone. For instance, American stock is open at 9:30AM-4:00PM on American time. Plus 500’s automatic time adjustment feature is great as it allows users to time their trades correctly. Maintenance Margin: You need to understand this because if your position reaches below the maintenance margin point, it will automatically close. Make sure to always keep your account balance above this margin. Fortunately, the margin is already calculated and placed on Plus 500’s top header and is usually a low amount. When you start to buy and sell Facebook stocks, you should do so at your own risk.While the market is volatile, novice investors use Facebook shares due to its low risk. Thus, use Facebook shares to help diversify your portfolio and aid you in increasing your trading knowledge. Do you have any questions or concerns when obtaining Facebook stock?